When the outside temperature drops below 8°C, some people have a higher risk of developing flu, strokes, heart attacks and pneumonia, said the NHS. Researchers have also revealed then cold weather can cause high blood pressure. Those most at risk of developing the conditions from cold weather are the over-65s, and those with pre-existing health conditions, including heart, lung or kidney disease. But, heating the home to at least 18°C may help to lower the risk of developing the conditions. “The cold thickens blood and increases blood pressure, and breathing in cold air can increase the risk of chest infections,” said the Met Office. “So, it’s all the more important to ensure your home and the homes of people you look out for are the right temperature. “You should heat your home to the temperature of at least 18°C. This is particularly important if you have reduced mobility, are 65 or over, or have a health condition, such as heart or lung disease. People under 65 years old may wish to heat their home to slightly less than 18°C, while wearing appropriate clothing, the Met Office said. It’s also important to keep bedroom windows closed at night when the weather is cold, it added. 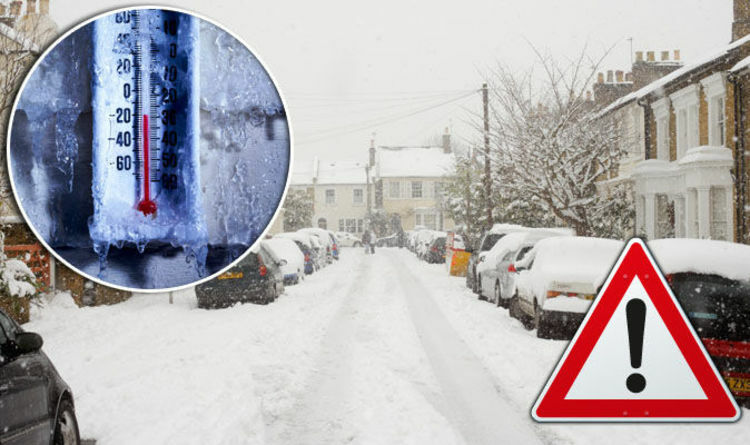 The warning came after research revealed some people’s blood pressure is affected more by cold weather than others. A University of Glasgow study of more than 16,000 people found high blood pressure was linked to prevailing weather conditions. Charity Blood Pressure UK said: “It is really interesting to know there may be a relationship between the weather and blood pressure; more research is needed to understand the potential mechanisms behind this. “However, until we can control the weather, we can still rely on more traditional ways of controlling our blood pressure, such as eating more fruit and vegetables, less salt and alcohol, and taking more exercise. High blood pressure symptoms include severe headaches, fatigue, finding blood in urine, and chest pain.